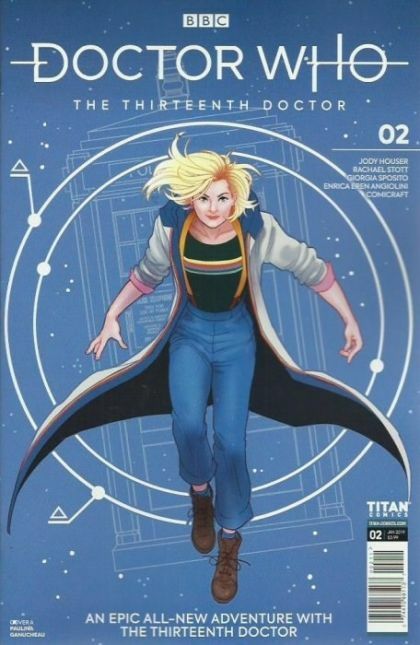 Eisner-nominated writer Jody Houser (Faith, Mother Panic, Stranger Things) leaps in with mind-blowing adventures for the Thirteenth Doctor and her brand new companions! A mysterious new time traveller appears - but can he be trusted when he says he's human? Illustrated by award-winning artist Rachael Stott (Doctor Who, Motherlands) and colorist Enrica Angiolini (Shades of Magic, Warhammer 40,000)!